Older horses need to be given feed supplements which are adapted to ageing and help prevent a certain number of organ dysfunctions. EQUIPORT SENIOR helps optimise vitality in older horses and delay the effects of ageing. Vitality and general good health : spirulina is a rich alga and an excellent source of protein. It also provides essential fatty acids and reinforces the working of the immune system. 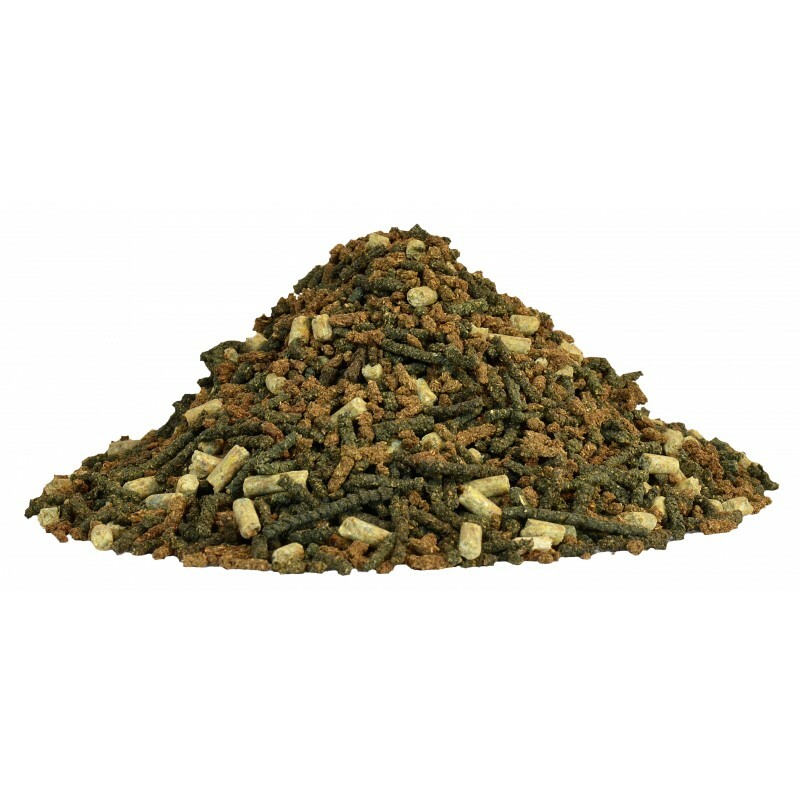 Fenugreek is used to improve the taste of feed, improve form, increase muscle mass and encourages rapid weight gain in horses which have lost their form or their appetite. 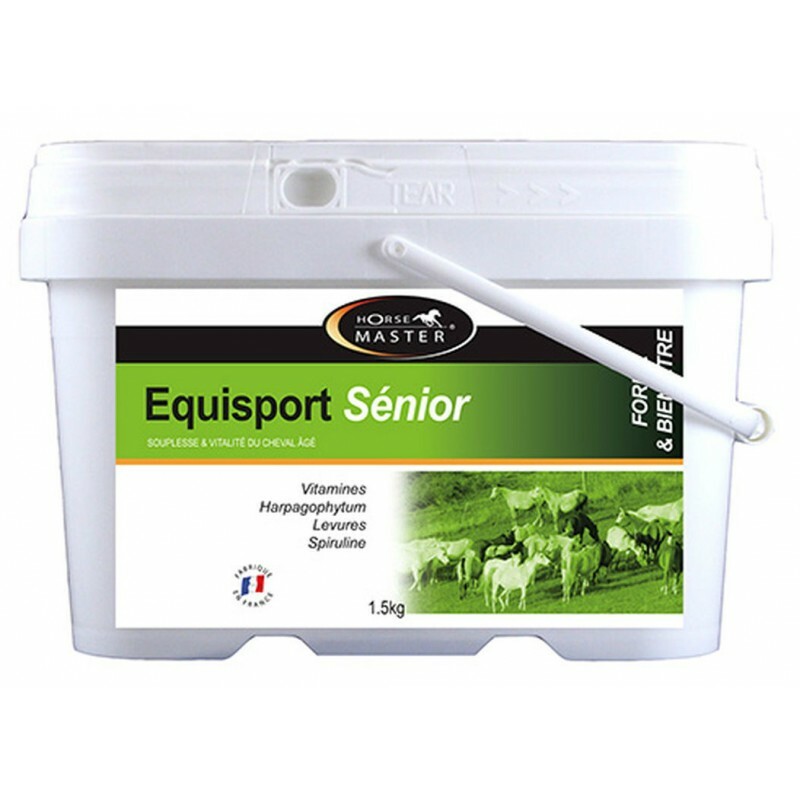 Digestive organs : EQUISPORT SENIOR contains a large quantitu of yeasts to reinforce the beneficial intestinal flora and improve the digestion of nutrients. Locomotion : harpagophytum, willow bark and meadowsweet are well-known for theur soothing effects on the joints. Kidney and liver function : artichoke, goldenrod, milk thistle and dandelion are used for their draining and detoxifying effects on both the kidneys and the liver. Nervous system : vitamins B1 and B6 and chasteberry are used to limit cell degeneration. Cardio-vascular system : gingko biloba and bilberry leaf stimulate micro-circulation and help rest the cardiac muscle. Anti-oxydant activity : vitamin E, selenium and cinnamon help prevent muscle wasting and reinforce the immune system. Directions for use : 25g measure supplied. Give 50 g per day for 30 days.